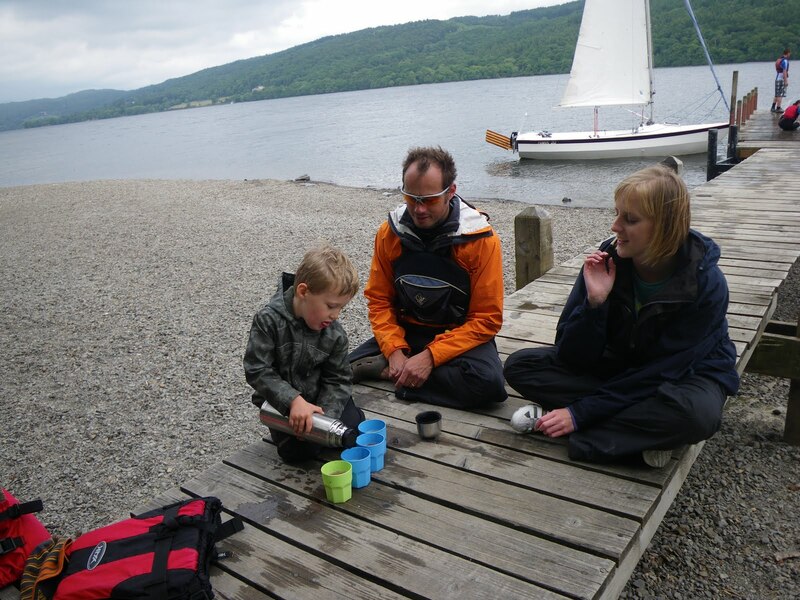 Sailing on Coniston Water on a wonderful summers day (but with plenty of wind) was such a great experience and different from anything I have done before! My name’s Amanda and I answer the phone, work on the website and do lots of other bits and bobs in the River Deep Mountain High office…and occassionally pop out to take part or help instruct the activities. Johan, Matt, Seb and I headed out on a Hawk, one of the larger dinghy sailing boats (being 20 feet long!) last week on 23rd June and had a thoroughly enjoyable day! I loved been shown, instructed and eventually being let loose on controlling the boat myself!! Being able to compare the activities that we provide with each other, as I take part in them myself (as a novice! 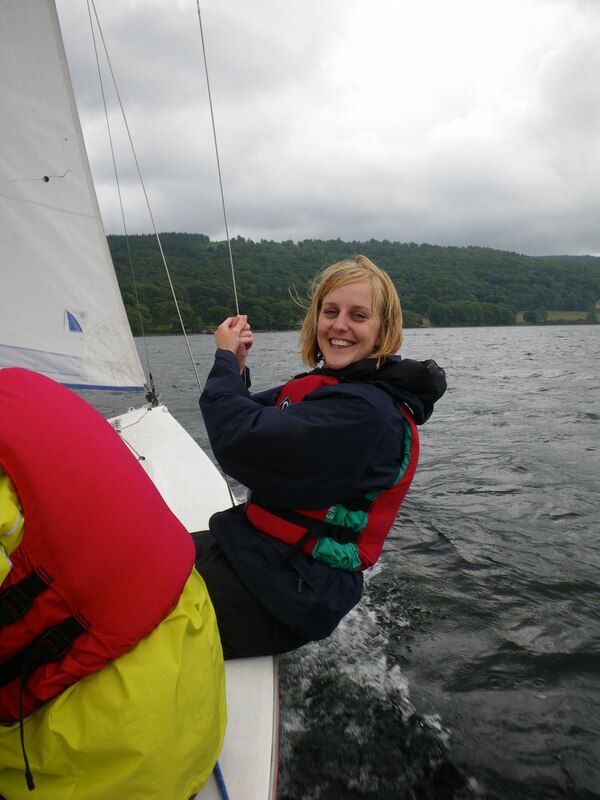 ), I found that sailing really offered a great alternative to the gorge walking, abseiling and archery. Dinghy sailing is essentially a relaxing activity that compliments an action packed holiday, the activity allows you time to take in a lot of information whilst taking a few risks in the strong winds with the boat really taking off, to the point where it seems impossible that you are mostly still dry! I had a little bit of theory explained to me using a whiteboard which meant I could use these new skills on the way back home. 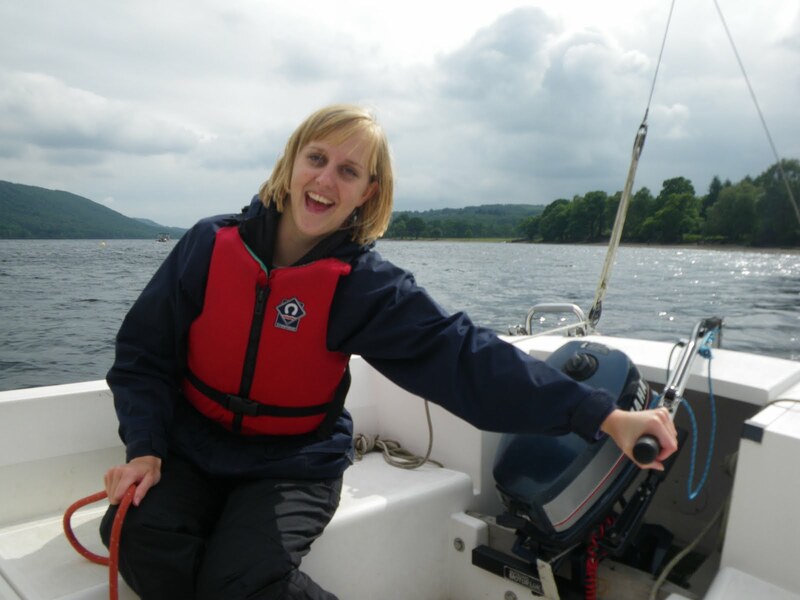 I had done a taster session of Canoe-Sailing with colleague Beth when we first started last winter (wow, time has flown by! ), and I had flashbacks of this particular session, whilst I was taking part in the Sailing. This made me really experience the benefit of transferable skills, such as moving the sail in the right direction to turn the boat whilst taking into account lots of other elements like making sure the balance in the boats was in the right direction! With so much to concentrate on (and laugh about if you make a little mistake!) time really does fly by and before we knew it, we were back on dry land. Again, with an easy steadying of the boat and jumping out, and watching the boat being safely taken back to the shore, we were done! I can’t wait for my next sailing experience!